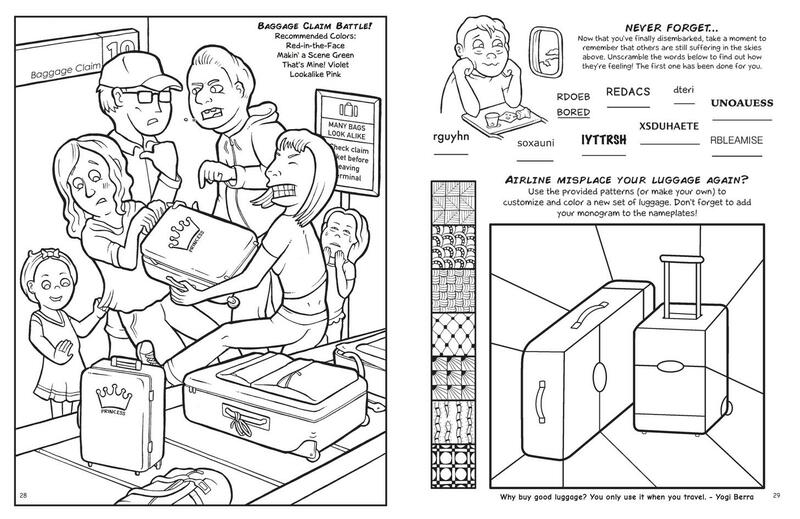 Blog The Awful Air Travel Activity Book: Hilarious puzzle book for all-ages! 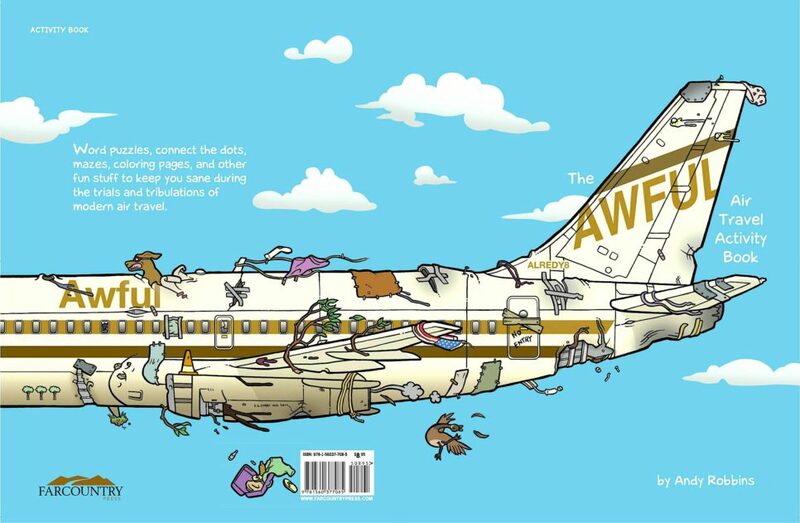 (Link) Get The Awful Air Travel Activity Book from Amazon now! We hope your bags are packed and you’re ready to go, because you have a one-way ticket aboard Awful Airlines! 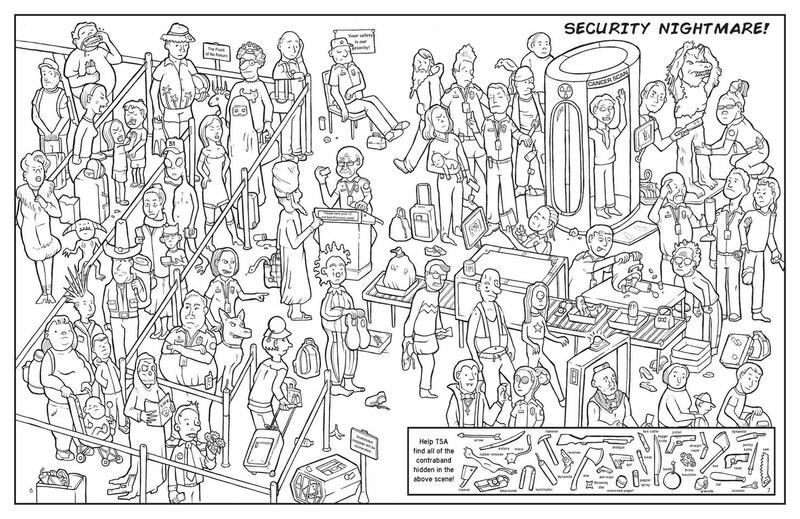 Humorist and illustrator Andy Robbins (Yellowstone National Park Cautionary Coloring Book) is back with Farcountry Press’ newest release, The Awful Air Travel Activity Book. Equal parts puzzle book and hilarious satire; reader will enjoy more than 30 different activities to keep you busy (and laughing) no matter where you are headed. The perfect companion for a long day at the airport, The Awful Air Travel Activity Book is the ultimate must-have for the airport traveler. Whether you are a frequent flyer or a freaked-out flyer, this fun-for-all-ages book will have you at ease (or cracking up) during a busy day of delays, security check-points, and baggage woes. The perfect gift to start a vacation, or to show your road-warrior you care, The Awful Air Travel Activity Book just might keep you sane during the trials and tribulations of modern air travel. Featuring laugh-out-loud word puzzles, themed connect-the-dots, mazes, coloring pages, and other unexpected (but always fun) activities. The Awful Air Travel Activity Book (ISBN: 978-1-56037-708-5, $8.95, Farcountry Press 2017) is available at local bookstores and gift shops, through online retailers, or from Farcountry Press at 1.800.821.3874, www.farcountrypress.com. 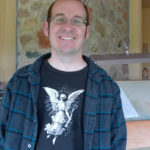 Andy Robbins works as a professional artist from his home in northern Wyoming, where he produces mysterious paintings, non-therapeutic coloring books, and other projects of questionable taste. Andy is excited to have recently completed the Awful Air Travel Activity Book for Farcountry Press. For more of Andy’s work, check out the Yellowstone National Park: A Cautionary Coloring Book and Grand Canyon National Park: A Cautionary Coloring Book.